Convert unlimited messages from TBB file to TIFF in bulk. TBB Emails to TIFF tool creates live export report while conversion. Along with TBB Emails to TIFF Images, the software migrate TBB files in more than seven file formats. Once user clicks on Create New Collection option, tool asks to type information details like Title Name, Collection Path, and description. Here, type the correct details in every field and then, just click the Add button. After details get entered in New Collection, user needs to select *.tbb email file format, even before selecting the file mode. Here, various file modes have been listed. Single File Mode:- It allows users to add one data file at a time. 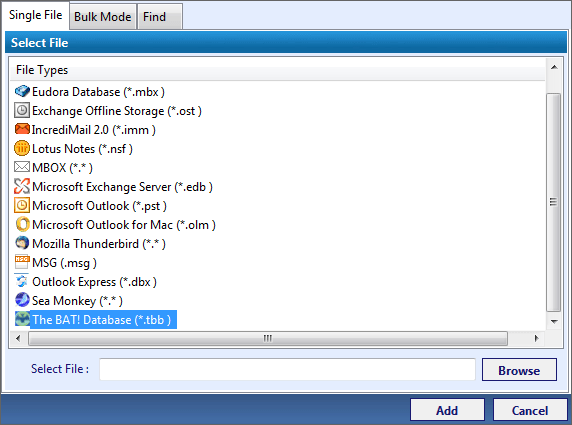 Bulk Mode:- It allows users to add several data and files altogether. Find Option:- It allows users to select from different file formats. Just click the search button and explore all the options. Once the desired data and files are added, Software starts the scanning process of files with details like Created On, Collection Name, and much more. After this, select the email folders, which user want to export TIFF in bulk. Now, click Export option. User can select Export option from navigation bar to convert several folders. At last, select TIFF file format from 7 distinct formats given in the software window. After this, click on Browse option to specify the path location of resultant TIFF files. After location is set in software click OK button. As a matter of fact, we constantly encounter issues of being invaded by spammers and phishers on organization’s main server. Spammers sniff into the crucial data of server database and steal the significant data and then, they replace healthy data by malicious data. This is the reason clients are losing trust on us. Hence, we concluded to take the backup of all crucial data in a format that can not be invaded by futile virus and spammers attacks. So, it is most wise to export TBB emails to TIFF format. Can I convert bulk tbb emails to tiff? Does the software support exchange tbb files of the version lower than 2007? For all the problems regarding migration of the Bat Mails to TIFF, there is only one solution. You can accomplish the conversion process and convert TBB to TIFF in bulk easily with the help of TBB to TIFF Migrator. It possess a versatile bunch of features with it. It even allows users to export TBB to TIFF Image with such an ease. This TBB to TIFF Converter is compatible with all types of TBB files and has minimum hardware/software requirements. In addition to this, the software export TBB emails to TIFF format without altering internal folder structure of files. Will the TBB to TIFF tool also save email attachments? No, the software will not store attachment files as users export TBB emails to TIFF format. 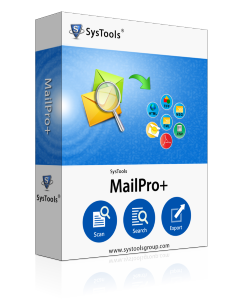 How do I migrate the emails of different mailboxes? You can migrate various mailboxes by 'Folder Selection' option from Export window of Software. Is there a way to recognize migrated emails? Just make use of the naming convention option of Software. This will offer various naming styles for resultant files. Also, flies can be named by date, sender name, subject, and much more so as to identify migrated emails easily. Can I preview email attachments during bulk export of tbb files ? Yes, you can easily preview email attachments during the process. I have been working on TBB files since a very long time so I wished to keep a copy of these emails but in a file format that did not took huge space. So, I decided to retain and store these emails as TIFF images. I was searching for a tool to solve this purpose of mine then, I bought TBB to TIFF Converter and I must say it is absolutely amazing. Thanks a lot team! Since TIFF format has more benefits than any other format as it offers users with features like flexibility to open & edit on any platform, compression, etc. This file format is less prone to corruption issues or cyber crimes. Moreover, TIFF format is a good option for storage of data and security too. Hence, to migrate TBB file to TIFF, a complete solution is needed that exports TBB file to TIFF effortlessly.